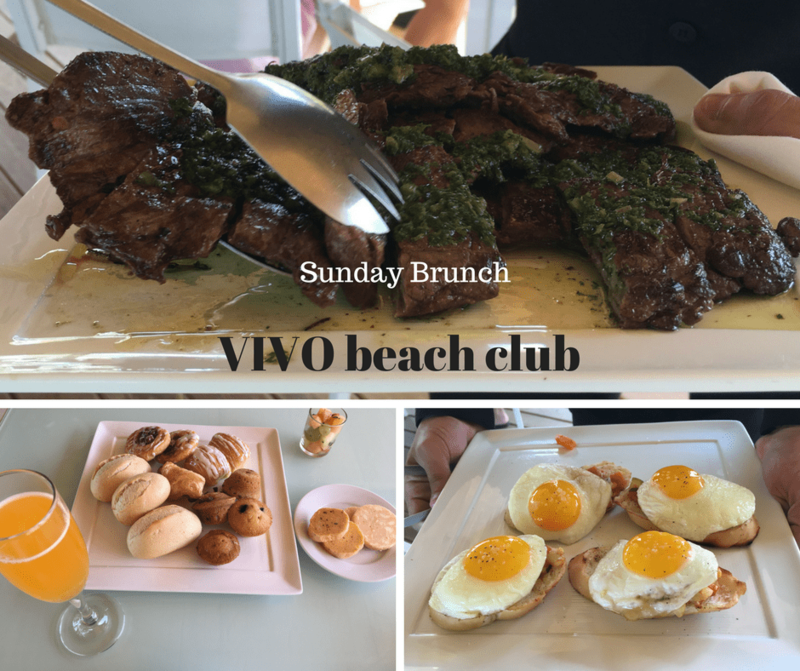 I recently discovered VIVO Beach Club and was eager to try out the new Sunday Brunch service. Brunch was served all you can eat, table side. Wait staff bring a selection freshly prepared food around to each table. Guests are encouraged to try a little bit of everything. There were no menus to look over, just plate after plate brought directly from the kitchen. Brunch is served from 11am until 4 pm on Sunday on the large covered patio with views of the ocean front beach or adjacent pools. Brunch items include omelets, fresh fruit, pastries, sandwiches, and more! 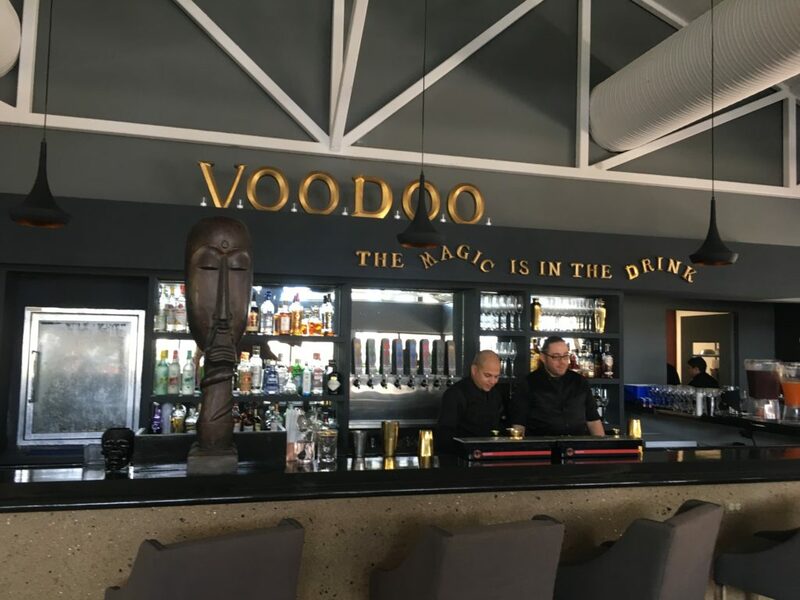 VIVO includes Voodoo restaurant, the soon to open brewery, and poolside food service. Available for large parties, beach side Wedding plus reception, corporate events, and more! There are plenty of poolside cabanas, beach front tents and shade, and chair/loungers. Outside showers, plus indoor lockers and changing rooms for members. I arrived 45 minutes before my friend, and I was well taken care of by the staff. I highly recommend VIVO as a great place for solo female travelers! VIVO has plenty of secure parking. Club membership is available, with discounts and members only access to special events. Guests can buy event specific tickets. Sunday brunch, your favorite musical guest, or a relaxing day on the beach – VIVO is the place! I’ve never been to Puerto Rico while on my trips to the US, but would love to see it one day. 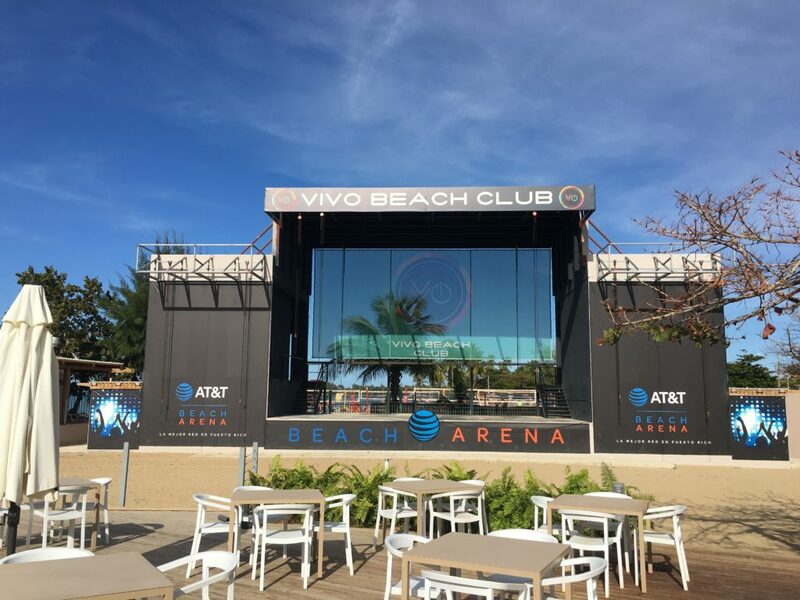 The Vivo Beach Club looks like a lot of fun, and with a great brunch menu too! My mouth’s watering from the thought of churrasco and poached egg with polenta right now, thank you! Beach sun and sand that’s all I need. To top it a beach club. Looks awesome and the hospitality surely is good as per your post. I would live to visit Puerto Rico in general but this adds this. To my list. Visuals are so tempting. Thanks for sharing. Just go there, day passes are available for same day purchase. I have wanted to go to Puerto Rico for so long and your article is amazing, since it gives me inspiration to book a ticket and see this by myself! Looks beautiful, I wish I was there. Great photos. Love the pool, food and bar. Thank you for sharing. I have wanted to go to Puerto Rico for so long!! This looks so stunning, may have to check this hotel out when we do get around to visiting! 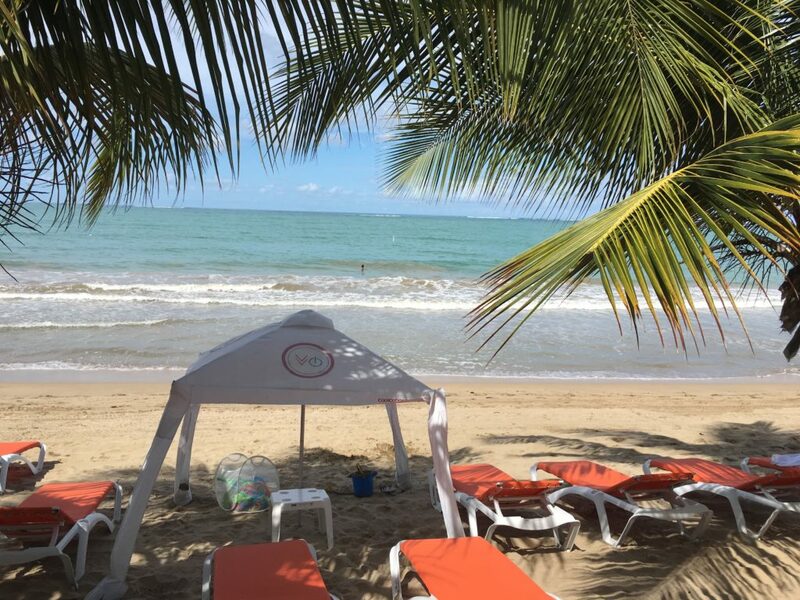 This is a beach club (not a hotel), but there are plenty of hotels nearby in Isla Verde. Okay, you had me convinced at fitness classes by the sea! I’ve always wanted to go to PR but have yet to make the trip. When I do, I’ll definitely have to check this place out. They are currently offering boot camp and yoga on the beach. Then you can go for a swim in the pool or the ocean after class. The food looks so good it’s making me hungry even though I just ate! I’m glad you pointed out that it’s a great spot for solo female travelers. It does look super relaxing, and the pool area looks lovely. 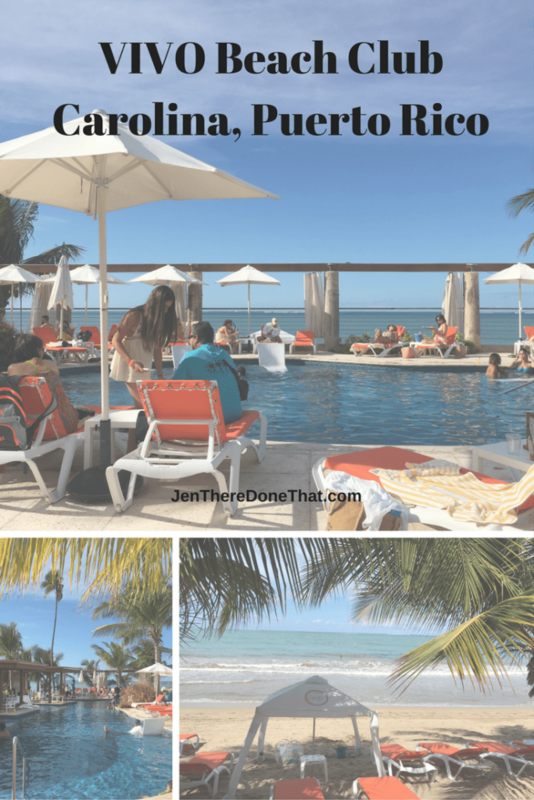 Oh my gosh, how I wish I could be relaxing poolside in Puerto Rico instead of being in the cold winter weather here in Canada! Looks like you had an amazing time!! Bottomless mimosas? I’m there! I’ve always wanted to go to Puerto Rico although that’s mostly because of West Side Story as I’m a complete dork. You have just well and truly put Puerto Rico on my radar! I had no idea it was such a great place. And this beach club look fantastic. They had me at the brunch! Thats a lot of food! It was so much food, and everything was delicious! I almost had to be rolled out after all that food! Wow! 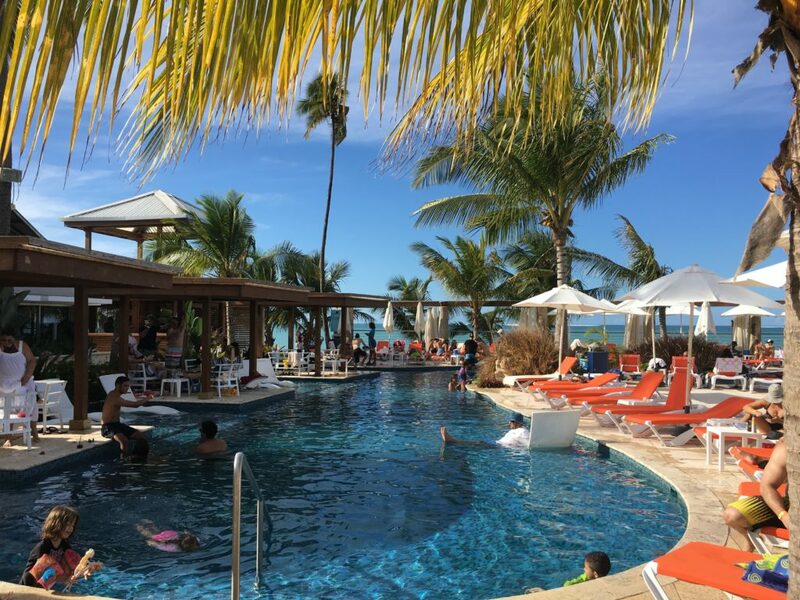 I’ve never been to Puerto Rico but your pictures of the VIVO beach club are awesome. Would love to take part in that Sunday Brunch too…mmm brunch! Thanks for the recommendation, will be sure to bookmark this! You should come back for more! This looks like an amazing plays to relax! I haven’t made it to Puerto Rico…yet! These photos make me want to bump PR up my “Travel To” list this year. This resort looks lovely. A great place for a laidback holiday – the pools, bars, and beaches all look very relaxing. I’ve never been to PR before but I’ve been to the Caribbean before – Barbados, and loved it! Good post. Thanks for sharing! Looks so fun!! 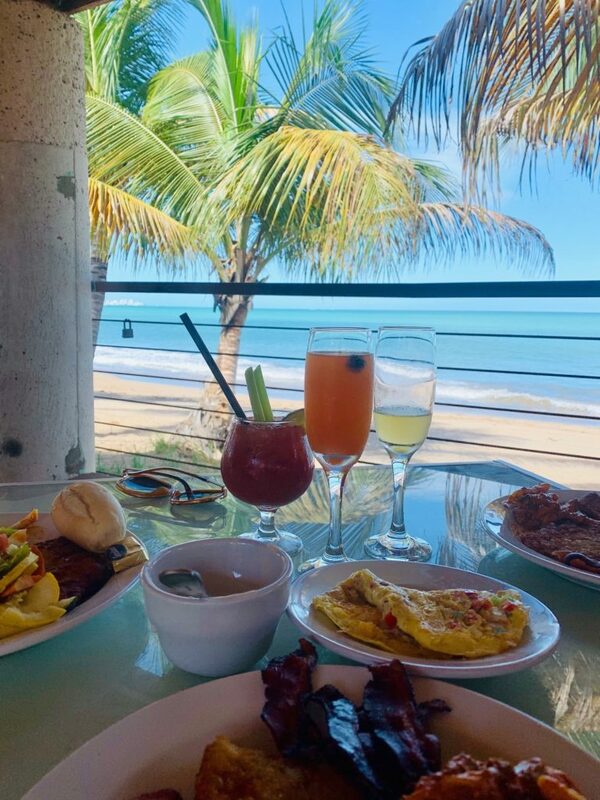 I love puerto rico and love the amazing looking brunch. So yummy. And you don’t have to even get up. My kind of place. If I’m ever looking for a beach getaway this is it! What a relaxing spot to let it all hang out! Looks (and sounds) like a great place if that’s what you’re looking for. Personally, I prefer the less commercial places but I have to admit the location is awesome and sometimes it’s definitely nice to have all the facilities easily available – less stress organising things and more time just to enjoy. Magic is the drink! That is so cool! This looks like a magnificent place to relax and unwind! I especially like the look of the pool! Whoa! This place looks incredible. That brunch is enough to convince me to go. Sounds so good. I would love to visit Puerto Rico. I definitely read this at the wrong time because I was already hungry and now I am starving after looking at photos of this delicious brunch! It’s been too long since I had mimosas and I love the sound of the brewery too! Making me dream of warm weather again! Snowing in WV. Your blog always puts PR at the top of my list to vacation. Oh my! I want to go there…. I’m jealous. How much is the membership and daily passes? I did not ask about membership, but daily passes are $40 and worth every penny! When I called in July, it was a $3500 membership fee and $100/month. Wow, that is not bad for beach club membership is Puerto Rico, most other clubs start at three times that price! For occasional visits, the daily rate is such a good deal. What an amazing place to have a wedding (or party)! It looks straight out of the glossy pages of a holiday brochure! Plus I love the idea of constant plates of food! I think I’d enjoy being a member, brunch and an amazing pool is hard to turn down. What is life like on Isla Verde? This could be a great option for bloggers, relaxing by the beach would help my creativity I’m sure! Isla Verde is a suburb of San Juan and still very busy. It is a great place to visit. It is so motivating for me to read posts from the other side of the world, while here in Romania is winter and so cold. I realized I even haven’t known where Puerto Rico is and with your challenging post you convinced me to search for it on the google maps. 🙂 Well, at least I found out that is not so far from Europe, still in the Pacific Ocean. Puerto Rico is located in the Caribbean Sea, at the very edge of the Atlantic Ocean. My home in PR is closer to Europe than it is to the West coast USA!